At Alliance Community Church our Ministry staff provide leadership, cast vision, and operate our ministries and programs within our Church Family. Tim Bergmann is the lead pastor at ACC. Some of Tim’s favorite things about ministry are being with people and dreaming great big dreams of the future together. He loves how God chooses to work through us even though we are broken and fallen, and how God uses His word to comfort and guide and encourage and convict. Tim and his wife, Jennifer, are very excited about moving into the community of Sylvan Lake, and becoming a part of life at ACC! 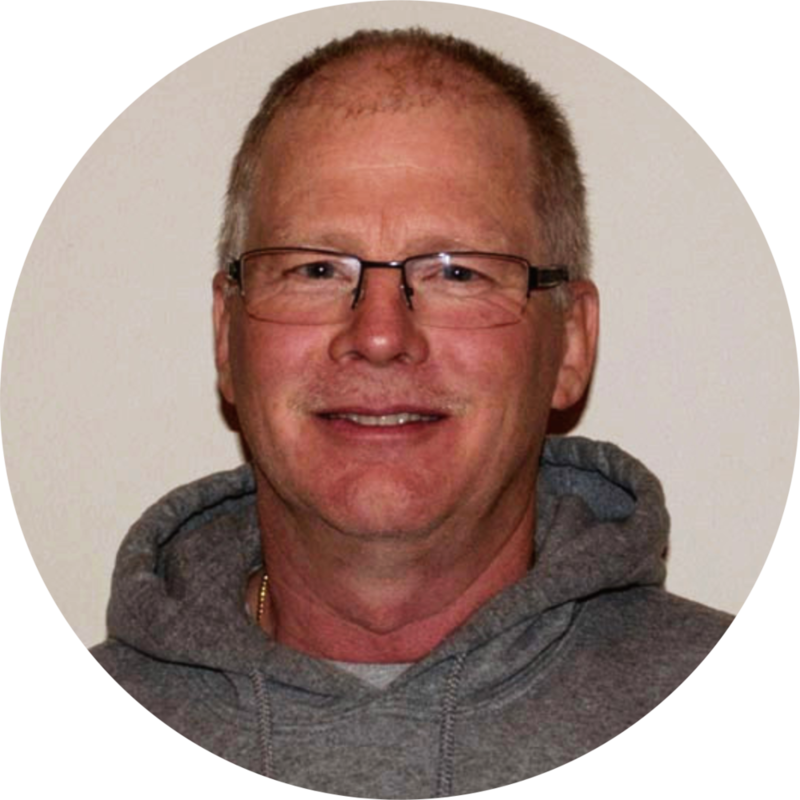 Jim has been the Associate Pastor at ACC since 2009. He loves Jesus, spending time with family, the great outdoors, tinkering in the garage and reading. You should ask him to see his canoe. Jim is married to his wife Teresa and together they have three children and eleven grandkids. 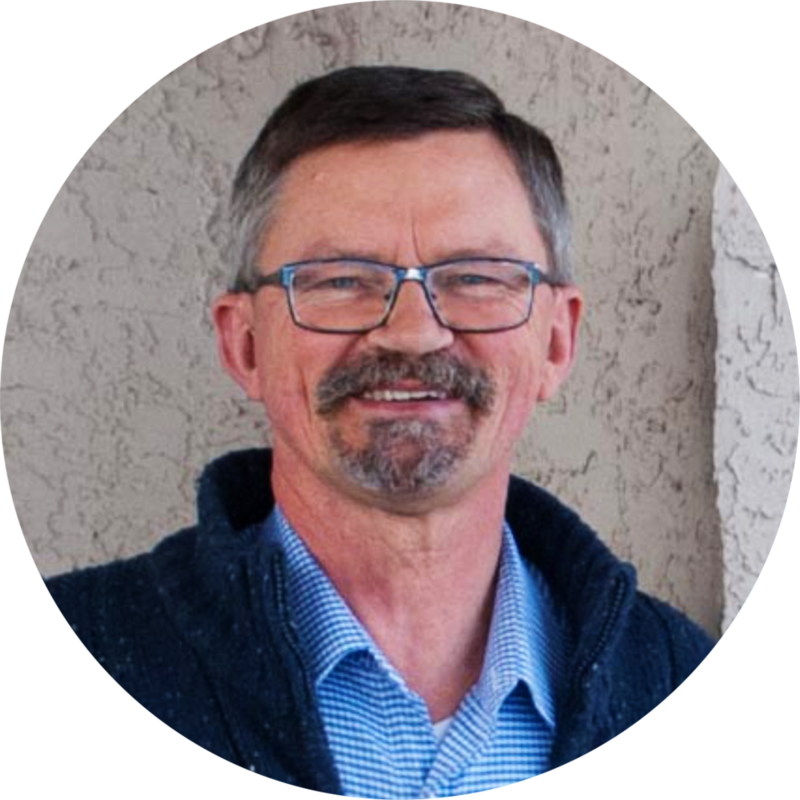 In his role at ACC Jim provides leadership for a variety of ministries including our life groups, men's and women's ministries, community outreach, and provides pastoral care for our community. He also preaches regularly and is often the first face you'll see as you enter our church. Khristie joined our team in 2016. She loves sharing the love of Jesus with families and longs to hear the work that God is doing in individual's lives. She enjoys singing, decorating homes, having coffee with friends and family and believe it or not, she loves watching NASCAR. In her role at ACC Khristie provides leadership to our Children's Ministry, including Sunday School, Preschool, Toddler and Nursery Ministries. Jonathan joined the team in 2018. He and his wife Michelle have three boys: Caleb, Levi and Mattias. Jonathan is passionate about telling others of Jesus, sharing about what God is doing around the world, and inviting others to follow God on mission wherever they live and go. He enjoys reading, rarely turns down good coffee, and loves a variety of sports including soccer, the occasional round of golf, and catching his Maple Leafs in action. In his role at ACC Jonathan is excited to walk alongside of the youth, teaching and empowering them to know God personally and to step into his calling for their lives. Marlis joined the team at ACC in 2017. She is passionate about seeing our Church Family serve our community to its fullest potential and seeing Moms supported as they learn what it means to be "Mom". In her role, she provides administrative and operational support for various functions, such as church administration, communication and finance. Mary has been at ACC since 2005. She loves serving our community and helping to facilitate our impact in the community. She enjoys cooking and loves her grandchildren. Mary is married to Mark. Do not ask us how to pronounce her last name. In her role at ACC Mary serves our Church family by providing reception during the week, producing our weekly bulletins, various administrative jobs and organizing our cooking teams. If you eat food at ACC, it's very likely that Mary made it. Shana and her husband Darren have 2 children, Allie and Ethan. They began attending ACC in 2005. Shana has worked as a community support person for people with disabilities, and also worked in the oilfield industry. She was hired as ACC’s part-time Elementary Coordinator in December, 2018. Stephanie grew up attending ACC. She is married to Ben and they have 3 children – Bronson, Griffin and Haven. As a family, they like to ski, swim, ride bikes and work out together. Stephanie started working at ACC in late 2016. Cassie was hired in March, 2017 and is the head custodian at ACC. She moved to Sylvan Lake in 2003. Cassie and her husband, Tanner, have 3 boys – Cam, Layne and Jase. As a family, they enjoy any type of outside activity, like fishing, hunting and hiking. Kelsey grew up attending ACC. She is married to Matt and they have 3 children – Van, Liv and Violet. They love that they get to call Sylvan Lake their home. Kelsey started as the assistant custodian in the summer of 2017. Heather has been a member of ACC since 2006 and loves meeting new people, hearing their amazing stories and connecting with friends who love the Lord. Her role at ACC is two-fold: as Facility Maintenance, she looks after the physical plant and building, and as Mercy Project Coordinator, she is setting up and organizing this fairly new outreach into the community of Sylvan Lake. Heather loves the Lord and spending time with Him, classical music (and singing when no one is listening), reading, and fire pit chats with friends and neighbors. She also loves gardening and growing veggies to share in her garden and greenhouse. Heather has 2 grown children and 4 grandkids who all live in Calgary. At Alliance Community Church our Board of Elders provide Spiritual direction for our Church Family. We moved to Sylvan Lake in early 2013 and have attended ACC since that time. My wife Vivian and I were married in 1973 and have 3 married daughters. Each has 2 children. I have been retired from engineering for about 5 years and enjoy swimming, long walks, traveling and getting together with others. I was elected an Elder in the fall of 2018, lead a Life Group, am an usher, and serve as a greeter along with my wife. I accepted Salvation as an adult, along with Art Dyck, the Alliance pastor (and my good friend) in Fort McMurray. From an early age I attended church and I have seen God’s hand on my life through the decades. After moving from Fort McMurray to Calgary, we attended South Calgary Community Church for 31 years. There I served in many capacities including elder, home group leader and usher. I look forward to seeing what God has in store for me in the coming years through the ACC body. My wife Teresa and I have called Sylvan Lake Alliance Community Church home since 2011. We own a small business that is involved in the oil and gas industry. It is an easy and enjoyable place to be involved in ministry. We are part of a life group as a couple and I am also part of a men’s life group. I am also involved in Children’s Ministry as a Grade 3 teacher for the early service. I will be serving on the Board of Elders until September, 2022. My wife, Pam, and I live in Sylvan Lake with our 4 young children. We have called ACC our home church for over 20 years. I work in the landscape and construction industry. The Sylvan Lake Alliance Church has greatly impacted both myself and my wife, as we started attending in our teen years. We are grateful for this church family as we continue to now raise our family. I have enjoyed serving in several different ministries over the years, and most recently am involved in a men’s life group. I will be serving on the Board of Elders until September, 2019. My wife, Lindsay, and I live in Sylvan Lake with our 4 children. We have called ACC our home church for 20 years and have served in the worship, youth and children's ministries during our time here. I am currently serving as the secretary of the Elders board until September 2020. My wife Janice and I moved to Sylvan Lake in January, 1998 and started attending ACC on a regular basis in 1999. We have a son and daughter, and at the time are semi-empty-nesters, as one child works away, and the other attends Mount Royal University. I serve on the board as Treasurer until September, 2018. I moved to Sylvan Lake in 2001 and have been attending ACC ever since. Myself and my wife, Jenny, and our three children – Rosyn, Penny and Henry – were sent out by ACC to serve in full-time ministry with YWAM in Van­couver from 2013 – 2015. We are so glad to be back in Sylvan and serving in the church once again! Hi, I’m Frank Wiebe, the current chairman of the Board of Elders. Sherry and I have been married for 33 years and have 3 married children and 7 grandchildren. We have a small, family run construction company that does a variety of work, from interior finishing to project management, and everything in-between. Sherry and I are both very passionate about our work with TOUCH Ministries and we love the opportunity to serve in the church and abroad. I’m an avid hunter and love to fish as well. James 1:5 is a verse that I use often to lead me in my prayer for wisdom as I serve our Lord and Saviour.